While it may have been quiet for some time, Assault Android Cactus is ready to unleash it's insane twin-stick shooter action this summer. The biggest hook to this title are the dynamic environments that change as you play. It's a fairly new take on the twin-stick shooter genre and it looks pretty awesome in motion. 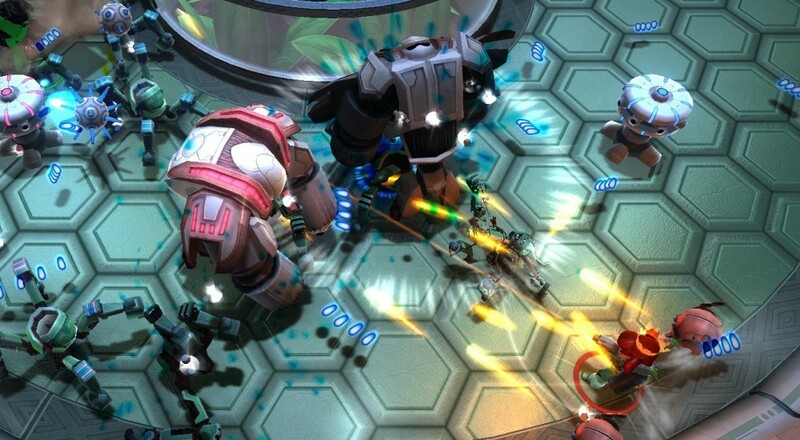 While the title has been in the Steam Early Access program for some time now, Assault Android Cactus will see a full release some time this summer on Playstation 4, PS Vita, and the Wii U. The developers of the game, indie developer Witch Beam, stated that they were inspired by "classic arcade shoot 'em ups" and an art style evocative of the "colorful visuals of the Dreamcast era". Looking at the game in action, I'd say they hit those targets. Assault Android Catcus​ will retail for $14.99 when it arrives. Page created in 0.3896 seconds.